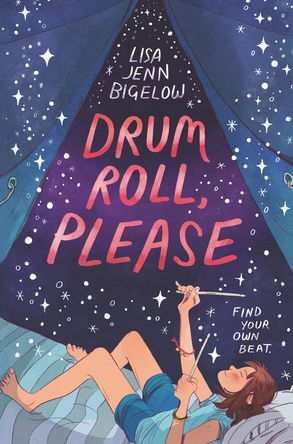 Melly only joined the band to be with her best friend, but when Olivia ditches her at band camp, Melly suddenly finds herself falling for a new crush and trying to figure out if she has what it takes to be a real rock n' roll drummer! Find the confidence to rock out to your own beat in this big-hearted middle grade novel. Not to be missed by fans of Raina Telgemeier's Drama and Tim Federle's Better Nate Than Ever! Ami Polonsky, acclaimed author of Gracefully Grayson, raved, "Drum Roll, Please is a perfect middle-grade love story. Bigelow delivers a mighty message to turn up the volume on your inner drumbeat."